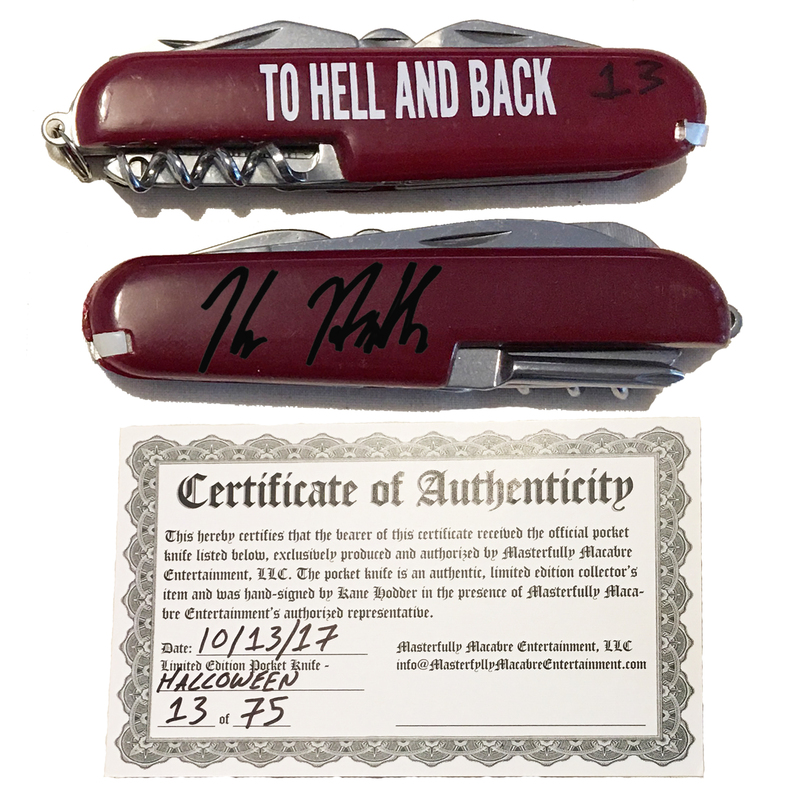 Autographed pocked knife with Certificate of Authenticity. 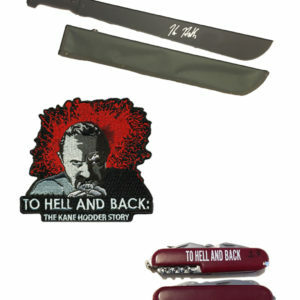 Inspired by the Friday the 13th Video Game, in which Kane Hodder performed all the motion capture for each Jason Voorhees, we have exclusive, limited-edition pocket knives, hand autographed by Kane Hodder. Made of stainless steel and durable plastic. Includes knife, scissors, corkscrew, nail file, Phillips and standard screwdrivers, toothpick, tweezers, bottle opener, can opener, wood saw, fish scaler, reamer, awl, and keyring. NOTE: Item number will be random and we do not accept requests for specific numbers.